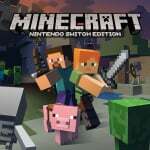 Minecraft: Nintendo Switch Edition is just the latest edition of the phenomenally successful franchise. The Mojang-developed and Microsoft-owned IP has progressed from a scruffy but clever PC sandbox game to being dominant in the industry, proving successful on any platform it calls home. Part of its ongoing success is due to regular updates and content additions. The latest to be announced certainly won't do any harm, as an Adventure Time mashup pack has now been revealed. The confirmation right now is just for 'consoles' in addition to Pocket editions and PC; we'll see in the coming weeks whether the Switch and Wii U editions are included in the roll-out. Would you like to play around with this Adventure Time pack in Minecraft? Well, I mean... Doesn't hurt. Waiting for my Zelda mash-up then I will buy Minecraft again for the 10th time! Shoot, might even actually play it myself! Oh god, haven't watched Adventure Time in ages. Tbh, I've always been more of a Regular Show person but more content is always good. Not something I'd grab, but hey it's there. I'm waiting for the Fallout pack to hit the Switch. Said it before and I'll say it again, DLC needs to be cross platform because there is ZERO chance I buy this game and all the DLC packs more than once. I'd have no problem buying the game again but its pointless without the dlc I already purchased. Wouldn't buy this since I've never watched the Adventure Time, but this kinda makes me want a Steven Universe mash-up. I know I'm late to the Minecraft party but these mashups are the worst of content add-ons IMO. I'd rather have new items or equipment that are based on the themes rather than just skinning everything. Would be way cooler to use Mario with a rifle from Fallout on terrain from Adventure Time with various enemies from all of the other packs. I'm sure some people will look forward to it. Adventure Time, really. I didn't think anybody watched that anymore. Ohwell, I'm sure the DLC will sell well enough. @dizzy_boy I think more people would if they...said whenever it's going to air. This is awesome, my kids and I will love this. Wouldn't "consoles" mean Switch? What are we waiting for? Love Adventure Time! Anything with a little bit of Adventure Time in it is always great. I absolutely hate Adventure Time. It's the most disgusting and twisted cartoon I've ever payed my eyes on. The look of the animation as well is just horrifying. @MatthewHindmarsh What an odd and extreme opinion. Adventure time is awesome and i fail to see how it's anywhere close to disgusting and twisted. @EternalDragonX Agree, the PE / Windows 10 version is already cross platform obvi, they should let consoles run that version!